Kozarian said school-based police are necessary to prevent disasters. 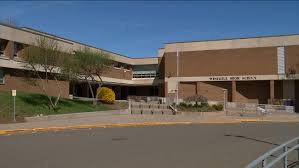 The district has had school resource officers for years at the high school and Dorseyville Middle School, but Kozarian said there should be an officer dedicated to each of the six buildings. He said there is a priority to improve access control at each school, which could include secured entries, security keys, magnetic locks and separate vestibules.